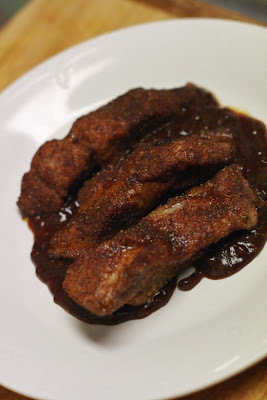 I'd never had pork ribs until this past year (partly due to a suspected pork allergy when I was growing up, and partly due to its high price, considering how much of what you're buying is bone), but I fell in love quickly and hard for the meaty morsels. 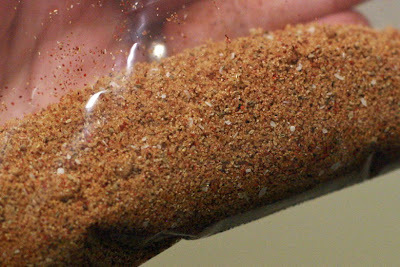 After eating them twice in an authentic fashion, I thought I'd try making my own at home for cheaper, even though I don't have a proper barbecue pit and would have to settle for oven-roasted. 3. 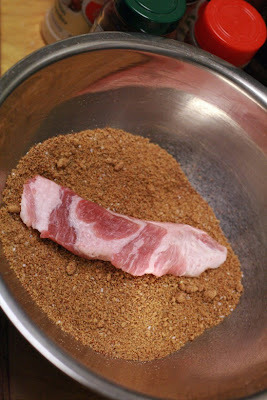 Save out 2 tsp rib rub for each 1/2 cup of BBQ sauce you intend to make. 4. 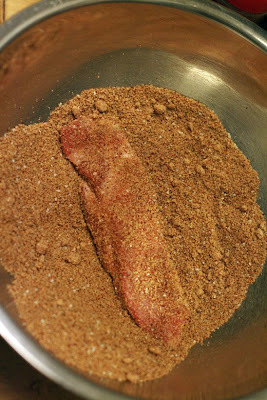 Roll each rib in the rub until well coated. 5. 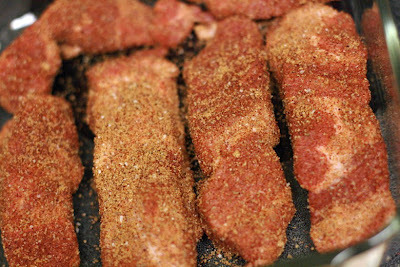 Place ribs in 2 separate 9x13 glass pans with a little space between them. 6. Roast in oven 75-90 minutes, testing for doneness on the thickest parts. 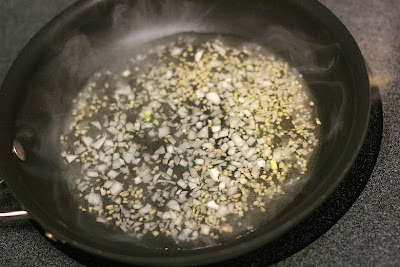 Simmer onion and garlic in water until both are soft. 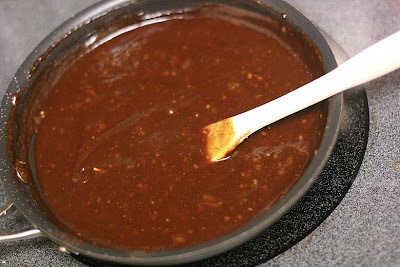 Add remaining ingredients and simmer until slightly sticky. 8. 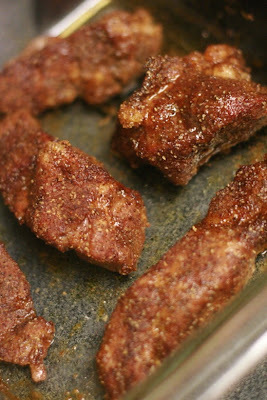 Once ribs are cooked all the way through, plate them on top of a small pool of sauce, dry side up. 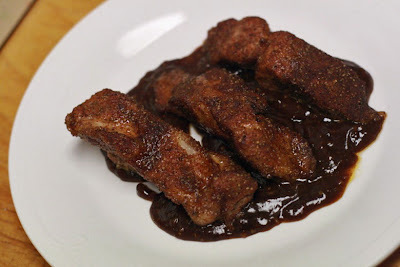 You end up with a dual-textured treat — moist and sticky on half, and sweet and rough on the other. Serves 4-8. 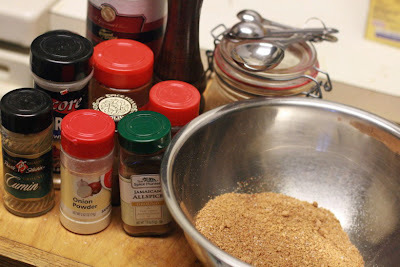 (It makes approximately 24 pieces, so it depends on whether it's a main dish or a full meal.) Enjoy!